Port Charlotte will re-establish itself with a new distillery. The equipment for the Port Charlotte distellery was salvaged from the former Inverleven distillery in Dumbarton. 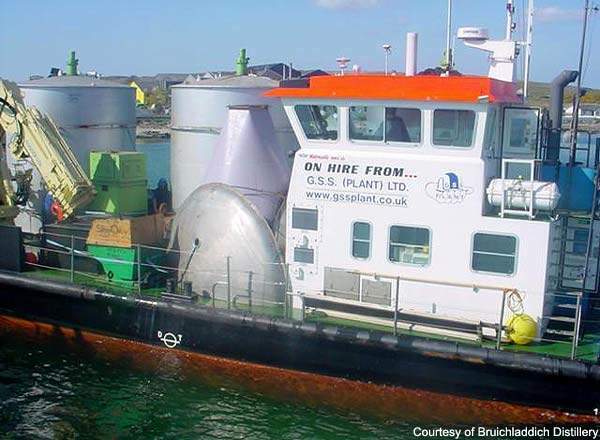 The equipment was recovered by ten Bruichladdich crofters and transported by barge. Port Charlotte single malt has already been marketed by Bruichladdich and has won awards for excellence. 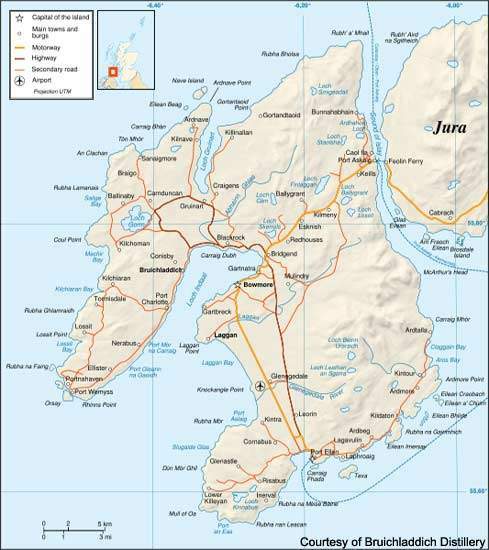 The island of Islay has many famous name distilleries, such as Bowmore, Laphroaigh, Aardbeg and Bruichladdich. Port Charlotte is a small town on the island of Islay in the Outer Hebrides, off the coast of Scotland. The Port Charlotte Lochindaal distillery was founded in 1829 and after being in operation for just over 100 years was closed in 1929. Now one of the most successful distilleries on Islay, Port Charlotte has put a plan into operation to revive the old distillery to make fine malt whisky again. The Port Charlotte distillery is being restarted on the original site by the operators of the highly successful Bruichladdich distillery. The new distillery will be situated about two miles southwest of the Bruichladdich distillery. Although it was originally scheduled to reopen in 2009, the plans were put on hold due to the 2008 economic meltdown. Bruichladdich distillery, however, has been distilling new spirit under the ‘Port Charlotte’ label since 2001 without waiting for a new distillery to be rebuilt at the original site. The Port Charlotte distillery is being dubbed the ‘Phoenix Distillery’ since the new facility will be reborn from equipment obtained from the former Inverleven distillery in Dumbarton. This was completely demolished in 2003, and the new distillery is being constructed on the site of the former Lochindaal distillery. The buildings of the former distillery survived and are in use by a local garage, the Islay youth hostel and the local field centre. The new facility will be expected to produce around 1.2 million litres of whisky per year. 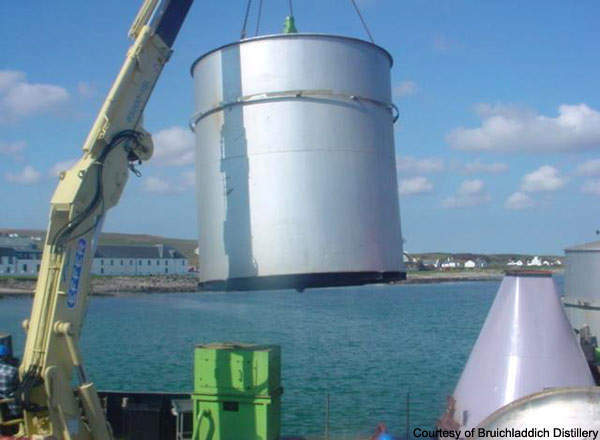 The old equipment was dismantled by a team of ten of Bruichladdich’s finest ‘engineers’ (crofters) under Duncan McGillivray and was shipped by barge to the island. While in storage pieces have been cannibalised for use as spares in the Bruichladdich distillery, but now they have a definite purpose. 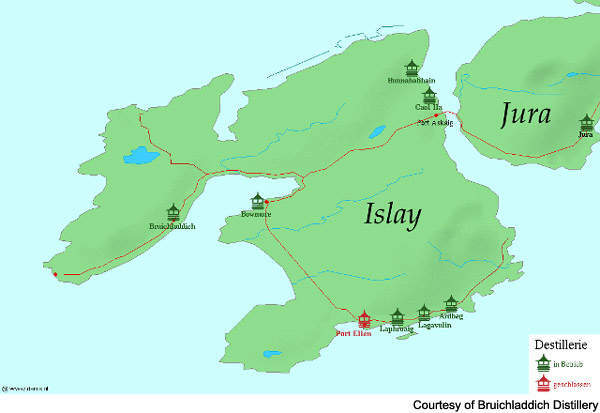 In March 2007 Bruichladdich made the announcement that it had plans for a new distillery to be called the Port Charlotte Distillery to increase the production of Islay malt whisky. Planning permission was granted for the new distillery building in 2007 and a second planning application was submitted shortly afterwards for a further new building to contain a distillery shop, offices and a tasting room/ceilidh/function room. The Port Charlotte Distillery will be constructed as a completely green operation with a zero-carbon footprint. One of the great advantages of the plan is that the major distilling plant and equipment was acquired inexpensively from a defunct distillery. In addition, the expertise required to develop and operate such an enterprise is available as it will be a sister facility to Bruichladdich. Another major disadvantage of starting an independent distillery from scratch is that there are no products to sell for around eight to ten years as this is the length of time that the whisky has to mature in the barrel. This is not the case with Port Charlotte as there are stocks of peated malt at the Bruichladdich distillery, some of it stored in bonded warehouses at Port Charlotte. Port Charlotte whisky is a heavily peated (40ppm) single malt and has been distilled since 2001. 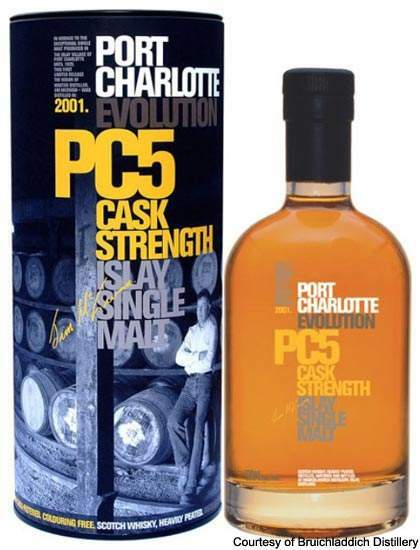 Bruichladdich is already marketing a cask strength (63%) Port Charlotte Islay single malt called Port Charlotte Evolution PC5 (around £199 per bottle). The first expression of the spirit (malt whisky) PC5 was released in the market in 2006 when it was five years old. At the 2007 International Wine & Spirits Awards PC5 won a silver medal. By 2009, three more expressions were released, namely PC6, PC7 and PC8. Bruichladdich plans to release the spirit (processed malt) once a year to keep track of the maturation path and assess the malted spirit in each stage.